There is a special fascination in the number four and twenty; the Hindus have twenty-four avtaras (incarnations) of their favorite god, Vishnu; there were twenty-four counsellor gods of the ancient Babylonians; the Buddhists have four and twenty previous Buddhas, that is. teaching gods. The Zoroastrians a1so have twenty-four Ahuras who are regarded as ”the mightiest to , advance desire and Dominion of blessings. 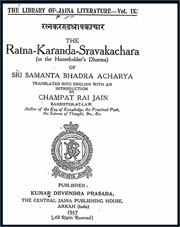 The Householder’s Dharma- English translation of the Sacred Jain text, Ratna Karand Sravakachara). 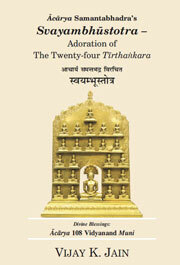 The Ratna Karanda Sravakachara is a major Jain text composed by Acharya Samantabhadra. 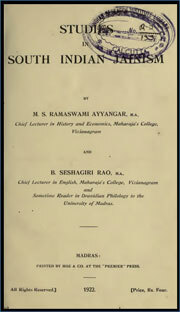 It comprises of 150 verses on householder’s dharma (conduct). For the first time when I happened to read an article on Angkor temples in National Geographic, May, 1982 by Peter J. White I had envisaged that these Temples are basically dedicated to Jain religion because the Five Meru Temples (i.e Angkorvat) and 52 towered temple of Angkorthom have been of biggest reverence to the Jains all over the world. I feel that he western Historians and geographers are not aware about the Jaina religion, philosophy and their Geographical locations of famous Jain temples throughout the world. 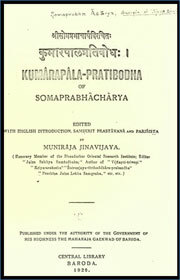 Edited with English introduction, Sanskrit prastavana and parisista by Muniraja Jinavijaya. 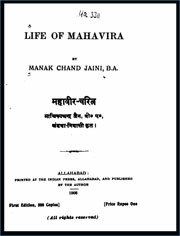 The work contains a general description of the teachings in the Jain religion given from time to time by the Jain preceptor Hemacharya to Kumdrapala, the illustrious Chalukkya king of Gujarat, and also of the manner in which, after getting these lessons, the king gradually got completely converted to Jainism. Kumarapala (r. 1143 – 1172 CE) was an Indian king from the Chaulukya (Solanki) dynasty of Gujarat. He ruled the present-day Gujarat and surrounding areas, from his capital Anahilapataka (modern Patan). Mahavira (Mahāvīra), also known as Vardhamāna, was the twenty-fourth and last Jain Tirthankara (Teaching God). Mahavira was born into a royal family in what is now Bihar, India, in 599 BC. At the age of 30, he left his home in pursuit of spiritual awakening, and abandoned worldly things, including his clothes, and became a monk. For the next twelve-and-a-half years, Mahavira practiced intense meditation and severe penance, after which he became kevalī (omniscient). For the next 30 years, he travelled throughout South Asia to teach Jain philosophy. Mahavira taught that the observance of the vows ahimsa (non-violence), satya (truth), asteya (non-stealing), brahmacharya (chastity) and aparigraha (non-attachment) is necessary to elevate the quality of life. 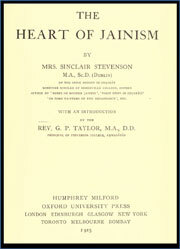 The book covers the Jain religion, its philosophy and history in extensive detail. As a College Teacher, Prof A.M Ghatge taught Sanskrit, Prakrit and Linguistics to the undergraduate and post-graduate classes since 1936 through 1978, and 22 research students got their PhD D degree, between 1961 and 1978, under his guidance as a Guide He taught Modern Linguistics at the Summer Schools and Winter Seminars of the Language Project and Department of Linguistics For short periods he was Visiting Professor at the Kurukshetra University, Kurukshetra (UP). The present treatise is the result of modern times. 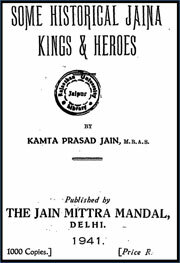 Jain literature is full of historical instances of Jain heroism. Jainism is a religion of true strength and spiritual good that makes a true hero. 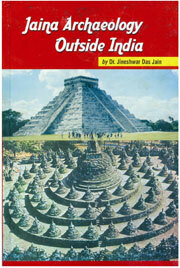 The history of Jainism in South India and its influence on the life and thought of the people is a fascinating subject. As the authors themselves point out, all the materials for a final verdict are not yet available and the conclusions reached can only be tentative and provisional. This, however, does not detract from the value of this study which opens out a most interesting field of thought and will, it is hoped, stimulate further research. All that is contained in this book has been excerpted, translated or adapted from a number of authentic Jaina texts. Due care has been taken to conserve the essence of Svayambhūstotra – the Holy Scripture composed by Ācharya Samantabhadra. 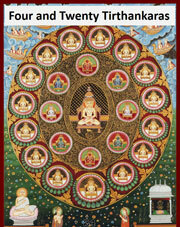 Ratnakaranda śrāvakācāra is a Jain text composed by Samantbhadra, an acharya of the Digambara sect of Jainism. 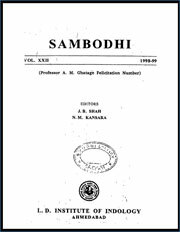 Samantbhadra was originally from Kanchipuram, Tamil Nadu. Ratnakaranda śrāvakācāra is the earliest and one of the best-known Sravakachara. A Sravakachara discusses the conduct of a Śrāvaka or Jain lay practitioner. To the general public Jainism is little more than a mere name, and even students of the Religions of India have often failed to give it the attention it well may claim. True, out of India s 315 millions less than one million and a quarter (1,248,162) to-day profess the Jaina faith, and the last twenty years have witnessed a steady decrease in the number of its adherents ; but, its numerical weakness notwithstanding, Jainism can make its own distinct appeal for a more informed acquaintance with its special tenets.